Once a signature of the Outer Banks oceanfront, cottage courts are making a comeback under new rules in Nags Head, and they could soon see a revival in Kill Devil Hills. Last week, Kill Devil Hills adopted an ordinance modeled after one in Nags Head aimed at encouraging modern versions of the old seaside neighborhoods. 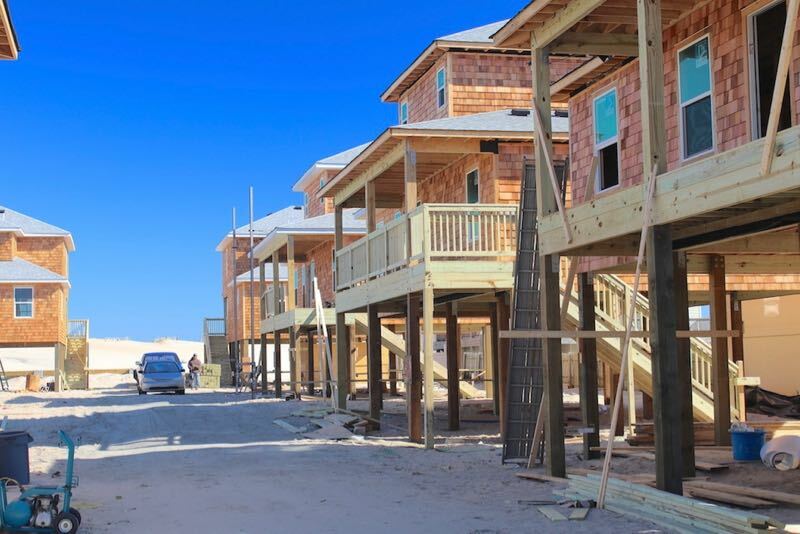 A new cottage court is almost finished in the Whalebone section of Nags Head and another two are in the works under a zoning revision formalized in 2016 for commercial and high-density areas of town. Developer Eddie Goodrich, who introduced the idea in Nags Head in 2014, brought the proposal to the Kill Devil Hills Board of Commissioners. The vision in both towns is to give visitors an alternative to the big, 12- to 24-bedroom houses crammed onto the oceanfront, replacing the older motor hotels and rustic cottages that have slowly disappeared during the past 20 years. Several older cottage courts are still operating, most of them in Nags Head. But the concept had been zoned out of existence by rules that favored the more profitable, fully equipped mega-houses, which usually mean multiple families or extended families spend vacations together. Cottage courts are touted as an affordable way for one family or for couples to vacation in a small neighborhood atmosphere. Under the new rules, they are made up of at least three smaller houses on one lot and a larger building that must include a common area serving all of the units. Access is by one main driveway, with smaller ones leading to the cottages. 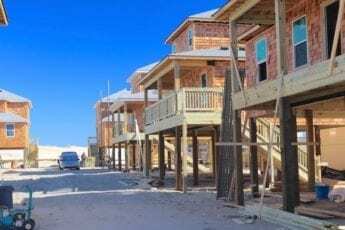 Discussions about oceanfront development usually turn to arguments about the loss of what many see as the Outer Banks feel that has made the resort area so popular, Mayor Sheila Davies said. “I think this is very consistent with keeping that Outer Banks charm and feel,” she said. A cottage court endorsed recently by the Nags Head Planning Board takes the concept one step further by including a larger event building on an adjacent lot. The plan is to build a complex enticing for weddings, meetings or family reunions. A hearing on the project is schedule for the Aug. 1 Board of Commissioners meeting. Whalebone Cottage Court on the site of the old Whalebone Motel is almost finished. In March, another one, Outer Banx Cottage Court, was approved by the Board of Commissioners for a site between Sam and Omie’s restaurant and the Rodeway Inn Hotel. what happen to the good old days on the outer banks beaches, it sure has been destroyed,why they keep building those ugly houses right on the ocean,i forgot the dollar bill.!!!! !Va.beach looks 100% better ive been hear 57 yrs.along with my family ..the bypass sure is not a bypass anymore ..i hate even going to the beach anymore better off to pay higher prices right here in manteo,but the traffic over is getting the same. I remember staying at the Manor Motel, across from the Chalet. Stayed there so many years, my family seen 4 owners come and go, until the place was sold to build a mega house. So sad the Outer Banks has came to that. This is so much more neighbor friendly than the mega beach king type houses that force their way into the neighborhoods. I vote for “class” over “greed” every day! My family built/owns one of the 70s motels in nags head. With a few cottages. All of thlhe cottage courts are a great. Nothing gaudy. The mega house on the other had are gaudy. Why do we let money rule our lives so much. Bill, We went to the Sand Dollar too. Had so much fun with the other kids and families staying there. And walking up to the Shell Shop. Sadly the building frenzy has taken away much of that friendliness and charm, hopefully these cottages are a start to bringing some of that back. Excellent idea. I grew up spending my summer vacations in Nags Head at the Sandollar & Jackson homes. Best vacations I ever had. I still go to the Outerbanks 60 years later.